You pour your blood, sweat and tears into the creation and promotion of such content and, logically, you expect it to drive massive clicks, traffic and conversions. Unfortunately, it’s not that easy. 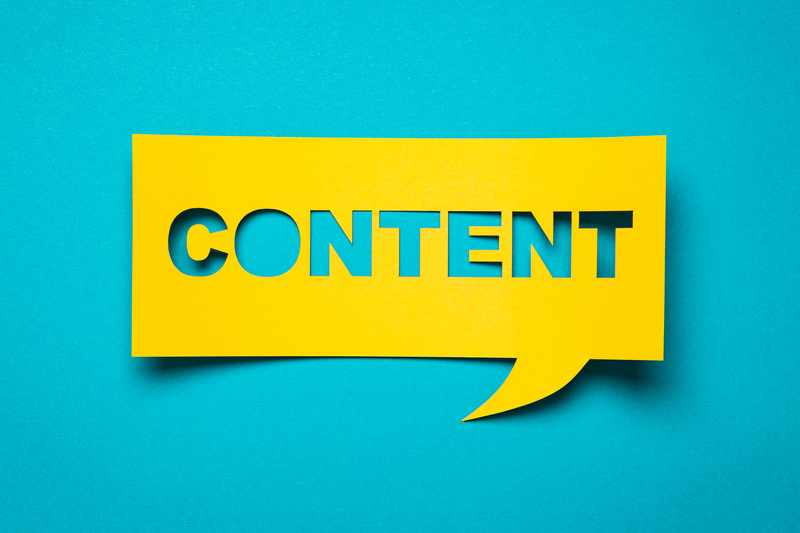 In the overcrowded SERPs and social media feeds, it’s possible that your content won’t gain the attention needed and will start fading away unnoticed. One of the easiest ways to dust off your long-forgotten masterpiece and drive fresh traffic to your blog is to repurpose it. Republishing your content is probably the easiest way to grow your brand authority and maximize website traffic. All you need to do is find websites that accept republished content and copy your article to them. But there are a few rules to keep in mind when republishing content on multiple platforms. First, never republish your content right after it goes live. Google takes time to index your page, so wait a week or two. Second, never publish the entire article, because the user won’t need to visit your site to consume all of the information. Copy only a smaller part of your article to grab their attention and motivate them to click on your link to read more. Finally, adapt your article to the audience of that particular website. Change your voice and title if needed. Do you know what kind of online posts people love? I’ll reveal you one of my key content marketing tips: Your readers want highly authoritative content, packed with tips coming from applied experience, expert insights, statistics and success stories. Be it a comprehensive guide, a case study or a roundup article on your blog, this is the kind of content that builds trust with your readers and positions you as an authoritative online resource. However, creating such valuable content takes time. One of the easiest ways to make this process faster is to merge your previous blog posts about a specific topic together. For example, if you’ve written extensively about Twitter SEO, using hashtags on Twitter, perfect times for publishing content on Twitter, then you could create “The Complete Guide to Twitter Marketing,” that will provide your users with actionable tips, statistics and expert insights. In addition to publishing your new guide to your blog, you could also use it as a lead magnet. Simply put, a lead magnet is a downloadable version of your guide that requires users to provide their email addresses to access. Just like you can bundle a few informative articles into an ultimate piece of content, you can also turn a large guide or whitepaper into a series of short, data-packed articles. They need to be created around one topic, providing your reader with actionable tips and information. You can publish them on your blog or even send them via email to your subscribers. This strategy increases their anticipation and inspires them to keep visiting your blog. Infographics are one of the most powerful content types. Research says that people read them 30 times more than regular blog posts. They can also boost your website traffic by 12 percent. Come up with a catchy and informative title. If the title of the repurposed article is too generic, create the one that will grab people’s attention and boost your clicks. Build the foundation of your infographic. Think about how you will turn massive data from the article into something concise, highly informative and engaging. Break your infographic into logical sections — just like you would when writing blogs. Don’t focus on details and fluff text. Instead, use only key data and facts to keep it easy to follow. Design the infographic using content creation tools like Canva or hire a designer to do so for you. We’re visual beings that process images 6000 times faster than textual content. Precisely because of that, you should enrich your articles with high-quality and informative visuals. No, I’m not talking about stock photos. I’m talking about original graphics you create to keep your users engaged — and this is where content repurposing can help. Namely, if you’ve already published a massive study, guide or whitepaper, you should turn important quotes and statistics from such content into graphics for your new articles. This is also a great internal linking opportunity, as you will mention the original source of your data and link to it. Social media marketing gives us an amazing opportunity to connect with our followers on a more personal level and keep them engaged with our brand. Most importantly, by publishing your content regularly and curating posts from other relevant resources, you will position yourself as an authoritative online resource. Create charts and quotes for social networks. I mentioned above that you can use parts of your content to create charts and quotes for your new blog posts. However, you can also publish this visual content on social to hook people’s attention and spark new discussions. Also, don’t forget to embed a link to the original post where they can find more details. When a user shares your image that includes your website link, they’re also building a backlink to your site. Turn long videos into short ones. Let’s say you’ve created an awesome video, but you’re not satisfied with the traffic and conversions it generated. Why is this so? Online users’ attention span is short. They use mobile devices to look for relevant content and information and they want your answers to be concise. For example, the optimal size for an Instagram video is 30 seconds, on Twitter is 45 seconds and on Facebook, it’s 1 minute. So why not use a video editing tool to trim your long videos down to bite-sized clips and promote them on social? You could create a series of such short, highly informative videos that will bring value to your users and yet, won’t waste their time. Most importantly, similar to creating a trailer for a popular TV show, this technique will build hype around your video and hook people’s attention. When done right, content repurposing will help you keep your blogging efforts consistent without compromising their quality. Always keep in mind that not each piece of content is equally important. Analyze your blog carefully and search for those posts that have the potential to go viral when reformatted. Most importantly, inform your followers about your revamped content. Just like you would with new content, promote your continually-revamped articles across multiple channels.